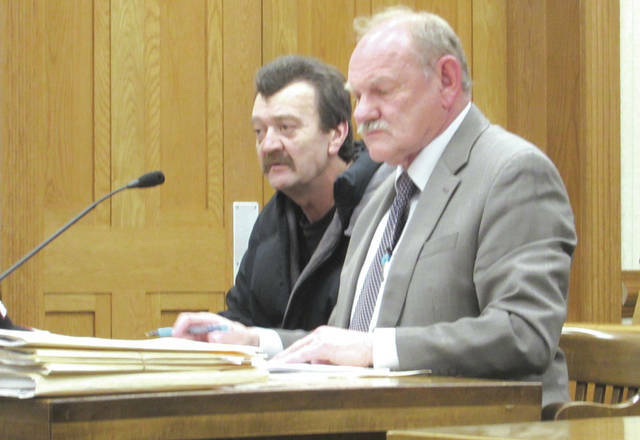 Stoney Dynes, 55, of Greenville, was expected to enter a guilty plea to charges of felonious assault and domestic violence but asked that a trial date be set instead. Steven Evans, 23, of Greenville, admitted to violating the terms of his probation on charges of burglary, theft and having weapons while under disability. Adam Payne, 35, pleaded guilty to charges of trespassing in a habitation. The charge was reduced from one of burglary, a third-degree felony. 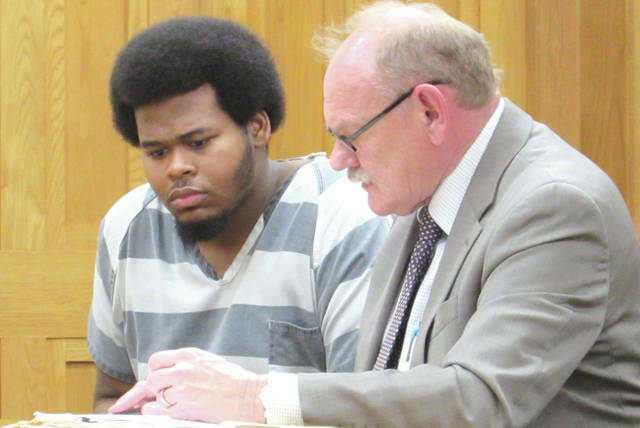 GREENVILLE — Darke County Common Pleas Court heard cases involving assault, domestic violence and burglary Monday afternoon. Judge Jonathan P. Hein presided. Stoney Dynes, 55, of Greenville, was expected to enter a guilty plea to charges of felonious assault, a second-degree felony, and domestic violence, a third-degree felony. Dynes instead chose to withdraw the plea and request that a trial date be set, however. 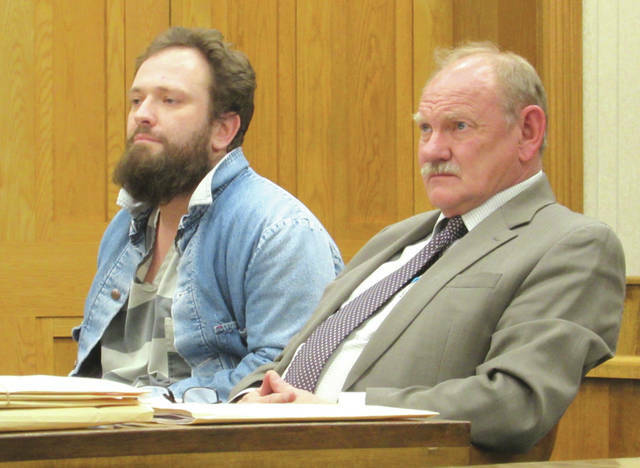 Dynes pleaded guilty to similar charges in February 2018 and was sentenced to spend 30 days in the Darke County Jail, followed by 30 days on electronically monitored house arrest, the following April. Dynes was under supervision by the Darke County Office of Adult Probation when he was arrested on the new charges. His previous record includes citations for trafficking, criminal trespass, telephone harassment and use of a weapon while intoxicated. Judge Hein struck the scheduled plea from the record and ordered Dynes released on his own recognizance. His trial date was set for March 4. Steven Evans, 23, also of Greenville, admitted to violating the terms of his probation on charges of burglary, theft and having weapons while under disability, counts carrying combined penalties of up to 24 months incarceration. Evans’ parole officer alleged he had failed to complete required substance abuse treatment, having been dismissed from the MonDay program in Dayton due to assault. Defense attorney Randall Braeden took a different view, saying Evans had earned his GED and completed 50 hours of community service while at MonDay. Evans told Judge Hein he regretted the actions that had brought him to this point and that he would change things if he could. Hein sentenced Evans to complete the remainder of his 24-month sentence, with credit for approximately eight months already served. Adam Payne, 35, pleaded guilty to charges of trespassing in a habitation. The charge was reduced from one of burglary, a third-degree felony, in accordance with a plea agreement between Payne and the Prosecutor’s Office. “I didn’t hear ‘life’ anywhere in there, so I figured it sounds like a pretty good deal,” Payne said. Hein accepted Payne’s guilty plea and ordered him released on his own recognizance. His next court appearance is a sentencing hearing to be held April 15. This entry was tagged assault, Burglary, Common Pleas Court, Community service, court, Darke County Common Pleas Court, Darke County Jail, Darke County Office of Adult Probation, Domestic violence, Felonious assault, felony, gettysburg, Greenville, Gun, jail, MonDay, Probation, Theft, Trespassing, Weapon, Weapons. Bookmark the permalink.